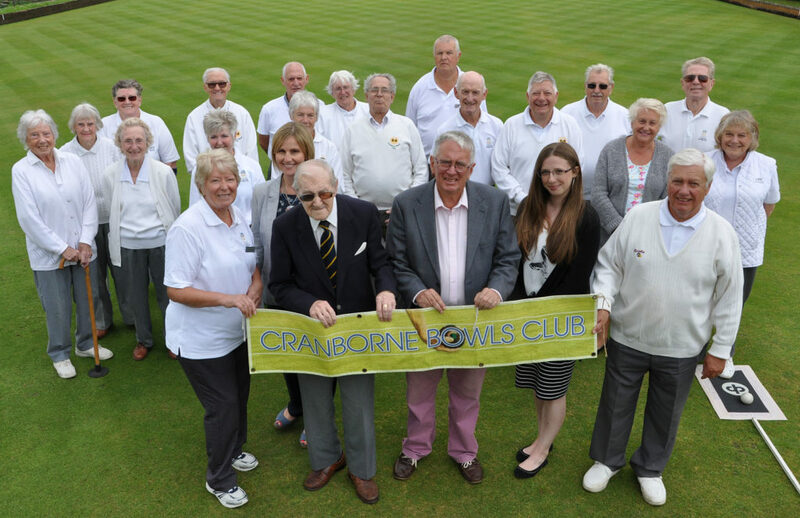 Cranborne Bowling Club has announced a new sponsorship deal with a well-known local funeral director. Douch & Small, based in Wimborne and part of the Douch Family Funeral Directors group, has got behind the 65-year-old club. The welcoming club has more than 40 playing and social members and is always looking for new ones. It has numerous ‘roll up’ events at which potential members – men and women, young or old – are welcome to turn up and try out the sport. Its founder, Reg Booth, obtained a defunct tennis court on the recreation ground in 1962 and organised a working party to dig out the original three rinks, to which another was later added. Peter Douch, Chairman of Douch Family Funeral Directors, which includes Douch & Small, said: “Following our relationship with Dawn Jones through her work with Partnership for Older People Programme in the Ferndown area we heard she was a keen bowler and that her team were looking for sponsorship. We were only too pleased to help. “Douch & Small in Wimborne has a long association with local groups and sports clubs and we actively try and do our bit for the communities we work in. Pic caption: Front row (l-r) Dawn Jones (Cpt), Emma Regan from FC Douch, Peter Morgan (President), Peter Douch of the sponsors, Amy Turvey from Douch & Small, Steve Allen (Fixture Sec), Tony Busby Chairman (far right rear).